Web design best practices have come a long way in the last 20 years. When is the last time you saw an old-school HTML built website ranking highly in search engines? Or a website built using only Adobe Flash? Probably not often if we had to guess. Each passing year has brought new features, new standards, just about new everything to websites and their design. Because of this, websites have had to continuously change and evolve to stay current with the trends and demands of website visitors and search engines alike. If you want your website to be effective in today’s online world you need to ditch dated web design trends and give search engines what they want and users what they are looking for. Is It Worth It To Update Your Website? In other words, design your website with your customer in mind, period. Your website design needs to be simple and easy to use, allowing visitors to quickly and efficiently interact with it. Any mishaps or poor design choices will send your visitors right back to where they came from and off of your website. Useful. Is your content original and fulfilling your visitor’s needs? Usable. Is your website easy to use and navigate on both desktop and mobile devices? Desirable. 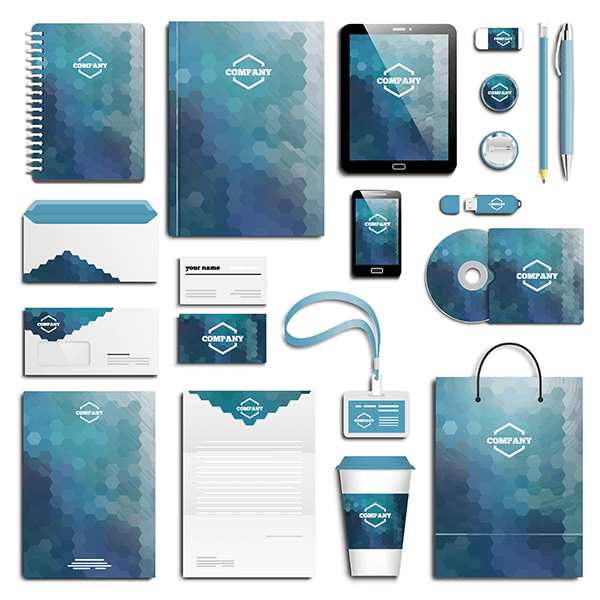 Does your brand and website elements showcase you and your business in the best way possible? Credible. Are you presenting yourself as the industry authority that people can turn to and trust? Keep these things in mind during the website design process as it will help you to stay focused on what’s most important – your visitors. The greater the number of choices you offer to someone, the harder it is for them to make a decision. This is commonly referred to as “analysis paralysis” – coined by Hick’s Law as illustrated below. Avoid presenting too many products or services on your homepage and instead lead visitors to decisions you want them to make. In other words, turn their focus to your Call To Action (CTAs). This could include going to specific pages, filling out a form, signing up for your newsletter, making a phone call, visiting the physical store, etc. Keep your website choices to a minimum and chances are you will see a higher conversion rate. Negative space between your design elements and content allows your website to breathe and be presented in an appealing way. Web design negative space illustrated by red boxes. Make sure you leave ample padding between text, images, and headings. The over-use of animations will have the complete opposite effect – distracting or confusing your visitors. In our experience, it can make just being on your website out-right annoying. Resist the urge to overly animate your website and instead use these features strategically and sparingly. Contrasting colors will draw the eye to specific elements in your design. 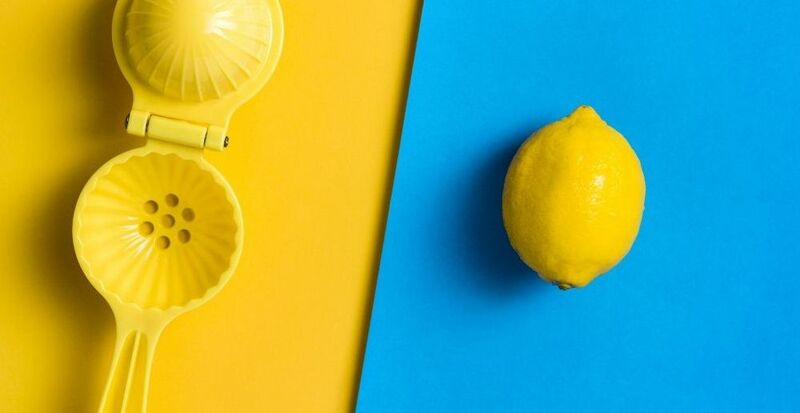 That yellow lemon sure is noticeable, isn’t it? Use them to highlight your logo and important words or phrases that you want your audience to immediately see. Depending on the size of your website, breadcrumbs can be a very useful addition to your navigation. Breadcrumbs allow your visitors to visually see where they are in the hierarchy of your website. Like the “You Are Here” feature on maps for large places such as malls or amusement parks. An example of an eCommerce website using the breadcrumbs feature. This feature is especially important on large websites, such as e-commerce websites. If you have dozens of nested products or categories you can use breadcrumbs to help your visitors find what they are looking for. By using breadcrumbs you can help users navigate your website without seemingly getting lost in a maze of products or pages. We get it, you probably don’t want your face plastered all over your website for everyone to see. But even doing so subtly, has surprisingly powerful effects. Consider displaying a photo of your team or owners on your about page. Putting a “face to the name” can create a sense of security in people – it helps to establish a relationship before the relationship has even started. Not only that but displaying images of people’s emotions or expressions when interacting with or using your product has been proven to convey much more than words ever could on a psychological level. Avoid distracting your users with different shapes or colors when it comes to your Call To Actions. You don’t see Amazon’s website using a hundred different colored “Add To Cart” buttons, do you? Neither should yours. Experiment and find a good balance of color and shape that attracts the visitor’s eye and stick with it. Yes, we know. At one time these were all the rage. They’re still quite common even today. If you’re still using a slider or carousel consider removing it – you might be surprised by the positive effect that can occur. No matter your story, no matter your history, if your branding isn’t cohesive across all your platforms, including your website, you’re completely missing the point of branding altogether. Example of consistent branding across all business products. Proper branding sets your visitors expectations – helping you to convert new customers as well as keep old ones. Appear to be trustworthy enough to do with business with. The size of your business or website does not change the importance of branding – branding is important for everyone. Help people to quickly identify and remember you across all your platforms by being consistent with your branding. The content on your website is one of the most important factors in converting visitors and appealing search engines alike. But it can be difficult to balance the two. People typically visit your service pages to learn more information about your company and the service. Really push to highlight the benefits of your services, not just the features. After all, you are trying to sell them on using you for your services, aren’t you? Just focusing on the features of your service puts you on the same level as every other website or business that provides the same. Following these tips will help you to convert a visitor into a customer. People come to blog posts for answers or more in-depth information about a topic. If your website doesn’t have blogging capabilities – change it. Blogging, when done correctly, is the key to increasing your rankings and achieving loads of free organic traffic in search engines. That’s probably because your blogs are too shallow, self-promoting, or are targeting keywords you’re never going to rank for (at least not without some serious effort). Instead, focus on crafting blogs that are relevant to your business, unique, in-depth, and useful, while avoiding excessive self-promotion. Answers to common questions related to your industry or products. How to’s or guides for things your customers may want to do or learn themselves. In-depth, useful information related to a specific service or topic that you would otherwise not be able to include on your service page. Following these tips will help you to educate your customers, increase your brand awareness, and help you rank higher and reach broader audiences in searches online. Keywords and onsite SEO are vitally important to both service pages and blogs – ensure that you are researching and implementing these correctly or having a professional assist you. Use proper headings to distinguish the different sections of your content. Your content should sound natural when reading aloud. Use a font style and size that is easy to read. Use bullet points to display items that would otherwise be separated by commas. 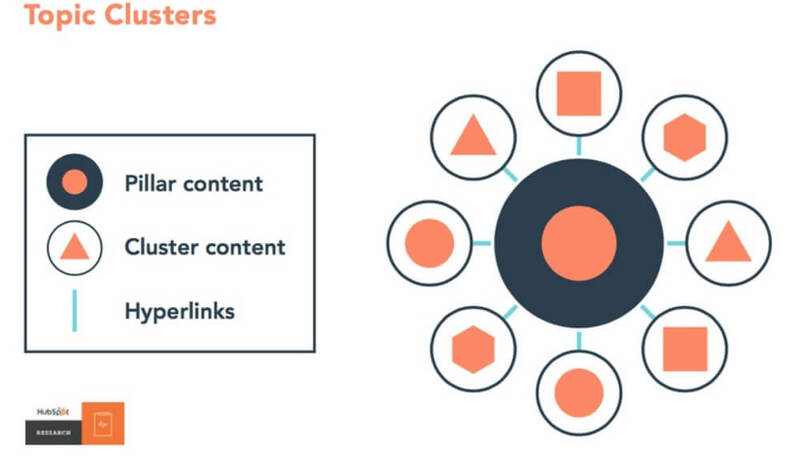 Topic Clusters or Silos are just advance ways of organizing the content of your website. When done correctly these techniques can have positive effects on your rankings and online visibility. To accomplish this, and mind you I’m being very brief, you would create a central Pillar Page that broadly covers a single, specific topic. Then, you would create as many as 15-20 blogs on the various sub-topics of the Pillar Page’s main topic. Those sub-topic blogs will only link to your Pillar Page and other blogs in the same cluster. Illustration of the Topic Cluster content strategy. We use this strategy on many of our client’s websites and have had great success in doing so. You’ve probably heard that you need a mobile-friendly website a few dozen times already. Even so, it’s arguably one of the most important practices on this list. If your website isn’t responsive to screen size and displaying correctly across phones, tablets, and desktops then you might as well not have a website at all. Not only is this a huge disservice to the people visiting your website, but it’s also an important ranking factor. By not having a mobile-friendly website you are jeopardizing your rankings and traffic. You can’t get by not having a mobile friendly website anymore – it’s become the industry standard and you will lose your traffic if you don’t get with the times. But according to the Nielsen Norman Group when “47 percent of visitors expect a website to load in less than 2 seconds, and 40 percent of visitors will leave the website if the loading process takes more than 3 seconds” you need your website to be as fast as possible. 3 seconds is all it takes for you to lose a potential customer to a competitor. You don’t have to have a background in digital marketing and data analysis to be able to successfully set up and monitor traffic, goals, and conversions. 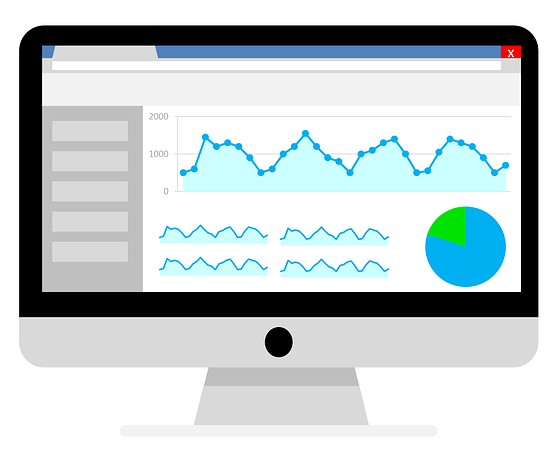 Illustration of a computer displaying website analytics information. After all, if your goal is to create sales or leads via your website, wouldn’t you want to have access to this information? There are plenty of resources online that will help you do this yourself, but if you have a web designer they should have no trouble at all connecting your website to Google Analytics and setting up goals to track on a basic level. Are you advertising on Facebook or Google Ads? Instead of trying to direct the traffic from your target market directly to your homepage or service page consider creating landing pages specific to your user goals. A landing page is a standalone page accessible only by your target audience when they click on your ad and should be designed with a single goal (CTA) in mind. (Sign up, phone call, contact form, etc). Landing pages have been proven time and time again to help businesses refine their digital marketing campaigns and increase their conversion rates. Want to learn more? Checkout Hubspots guide to landing pages. Search engines like Google are consistently updating their algorithms and standards when it comes to analyzing and ranking websites. These updates can occur multiple times in a year and can result in significant changes to rankings for millions of websites, including yours. By keeping your website’s onsite SEO to current standards you position yourself to avoid any potentially severe drops in rankings or loss of traffic. Whether or not you sell products online, your website needs to be secure. Not only for the safety of your visitors, but also for the safety of the website itself. Install an SSL Certificate to enable an encrypted connection to your website. Install a security plugin compatible with your website. * This DOES NOT mean you should go into your CMS platform and manually update everything - this can cause your website to BREAK. Updates to your CMS platform and plugins should always be managed and completed by an experienced web designer or developer. Alexa, Siri, Google RankBrain – these kinds of technologies are understanding people and what they are searching for better than ever. How do you capitalize on this fast improving technology? This goes back to #11 – write better website content. The better the content and user experience for your website, the higher you’ll rank and the greater your chance will be in getting the attention of these advanced technologies. To put it simply, Progressive Web Apps (PWA) are websites disguised as an app for mobile applications. A PWA allows you to install a website directly from your browser onto your phone or compatible device – just like a native app. It will even function offline. They’ve been talked about for years but aren’t very common…yet. The technologies have been developed making this kind of feature a possible future industry standard in web design. Nearly 50% of people cited that a website’s design is their number one factor in determining the credibility of a business – an opinion that is formed in as little as half a second! Every year there are thousands of new websites being launched and new designs being created. Each designed to make an impact with visitors and to out-do what’s already being done by competitors. Every year you neglect your website is another year you jeopardize your business. Reinvest in your website to stay current with website design best practices and industry standards. Your website will thank you – and so will your visitors. Receive Exclusive Tips & Discounts!